You are currently logged out of the Worldwide Community site. What is the Worldwide Community? The Worldwide Community (WWC) is an open community of people from all nations, cultures and faith traditions who seek to receive, study and live the New Message from God. The Worldwide Community is open to anyone who seeks to sincerely engage with the teachings of the New Message. God has spoken again, and God is calling for a Worldwide Community of people to gather in support of the mission of the Message and Messenger, to be the first students and practitioners of the New Message and to share this Revelation with others, working in concert with The Messenger and The Society. Here the men and women of the Worldwide Community are pioneering a new understanding and experience of God, spirituality and human destiny. The students of the WWC provide vital support for The Society for the New Message, the organization at the core of this mission to bring God’s New Message to the world. Ultimately, it is the work and contribution of the Messenger, The Society and the WWC that will root the New Message in the world and make it a vital, living force down through generations. With this, its deepest gifts flower and bear fruit, blessing the lives of countless people and and helping the world meet the great social, political and environmental challenges of our time. What is the Community Site? The Community Site is a global home for the students of the New Message around the world. Hosted by The Society for the New Message, this Site provides a place where you can gather together with others who are moved by the New Message, The Allies of Humanity Briefings and the teachings of Marshall Vian Summers and build purposeful relationships in service to a world in need. News, updates and announcements of new teachings, revelations, translations, special events and more from the Society. What is the Community Site and who can join? The Worldwide Community website is open to people of all faith traditions, or no faith tradition, who seek to learn more about the New Message and engage with the early community of students who are gathering around the New Message, its Messenger and its core community. The Community Site will always be free of charge and is supported 100% by donations from people just like you. How do I join the Community Site? To join the Worldwide Community website, simply fill out the registration form to the right. You will then be able to sign in and explore the features of the site and meet the hundreds of other students of the New Message around the world. 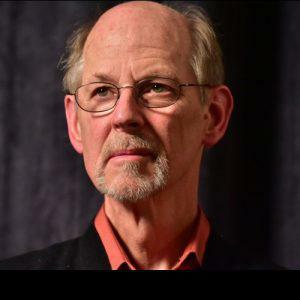 Let us know how you learned about the New Message and Marshall Vian Summers. If you found the New Message online please be specific. For example: Facebook, YouTube, a bookstore, a friend, etc. Years ago, a month ago or a day ago ? We'd love to hear. Let us know what inspires you most! © 2018 The Society for the New Message. All rights reserved. No part of this document may be reproduced by any means without the express written permission of The Society.